Mail call! Another question from a reader. 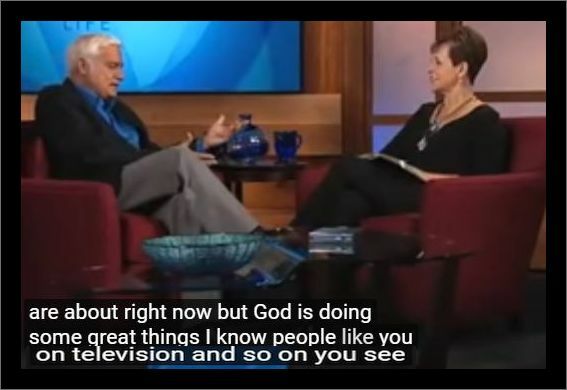 I posted an essay not long ago covering the event when Moore went on Joyce Meyer’s television interview show. The two women praised each other. Moore-Meyer is a bad association, one of many that Moore has shown (also associating with Jen Hatmaker, Victoria Osteen, Joel Osteen, etc) in spiritual endeavors. She cannot currently and unrepentantly be partnering with or frequently appearing with false teachers in violation of 2 Corinthians 6:14 ff. First of all, look to see if the pairing is a spiritual endeavor. 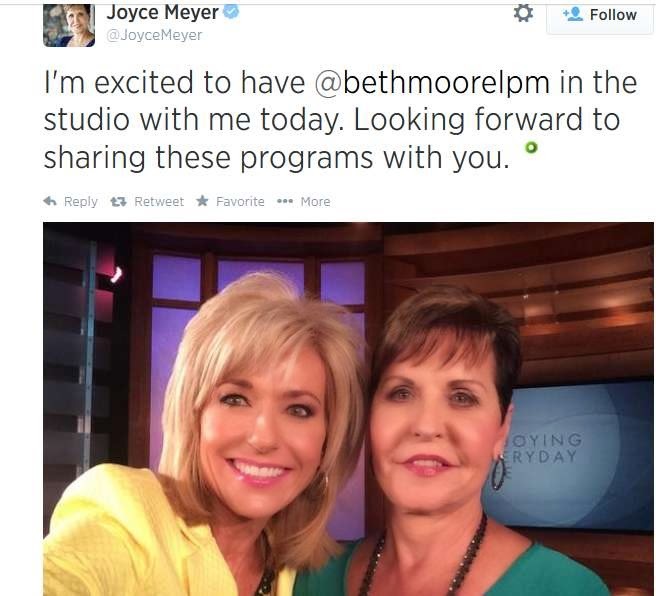 If Beth Moore and Joyce Meyer ran into each other at the beauty salon and posed for a photo for a customer there, that would not be an association we would want to use as an assessment criterion. They would in that hypothetical case just being mannerly. The key is, are they pairing up in a spiritual endeavor? and says that God is doing great things like Meyer on television. And second, when we look at a leader or teacher’s associations, don’t throw out the baby with the bathwater. We have to take a prayerful & measured look when we’re looking at secondary circumstances like who is hanging around our author or preacher or teacher. Please allow me to share two examples from my own life. One example is the Drive By series by Todd Friel. Todd Friel is the speaker on Wretched Radio and Wretched TV. He has a number of series where guest speakers give a 5-10 minute lecture on the series topic, whether it’s the Holy Spirit, or Discernment, or Marriage, etc. On one of the series, I believe it was Drive By Theology, pastor RW Glenn was a featured speaker on a number of the lectures. It turned out later that Glenn had been an adulterer the whole time and was eventually fired as pastor. 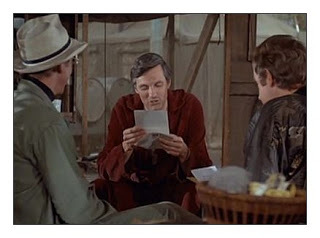 Afterward, if a person was looking at the list of speakers on Friel’s DVD and saw Glenn’s name listed, on a DVD about the theology of all things, they might say, “I’m never going to listen to Friel again, he has bad associations!” That would be hasty because it was not known to Friel at the time that Glenn was sinning. He has since not been invited to participate in any further DVDs. I have a thick heavy book called the Art & Craft of Preaching. It contains essays and interviews about how famous or well-known pastors prepare their material. I bought it ten years ago. Since then, several of those pastors have apostasized. Men like Rick Warren, Bill Hybels are listed in the table of contents alongside good men of faith like Alistair Begg and John Stott. Would I refuse to have anything more to do with Alistair Begg because ten years ago he participated in a book with pastors who later became heretics? No. It may be very likely that Begg didn’t know the full list of the men what would be in the book, or it was not known that ten years later several of them would become heretics. We don’t make a superficial decision based on one instance, that would not be fair. YOU wouldn’t want someone to make a decision about you based on one error or one circumstance where we don’t have all the facts. In the second case, you look over time. Is the person constantly having bad associations? Do ALL this teacher’s books have a heretical person introducing it? Is she continually saying things that are not in the word or is always twisting the word? Is she sliding down a slope? Or was her partnering with a false teacher only one instance? The issue here is linking up with an unbeliever, side by side, under the same yoke, pulling the same furrow, in the same direction, with the same goals and objectives. Now, that might mean a partnership in a common business — if it is likely that the nature of your partnership will lead to compromising situations down the road when your worldviews collide. Beyond all that, however, the primary application of 2 Corinthians 6 is with regard to spiritual enterprise. The primary warning is to never link up with an unbeliever in spiritual pursuits. Excellent article. With regard to Drive by Theology, Todd Friel redid the series with Dr. Steve Lawson. I have the series by RW Glenn and found it to be solid. But Todd did the right thing to disassociate himself from RW Glenn and redo the series.